Mark Hughes was full of praise for Danny Ings after the striker scored in Southampton's 2-0 win over Crystal Palace. Ings, who joined Southampton on Deadline Day on a season-long loan, got his second goal for the club in the 47th minute at Selhurst Park and Hughes is pleased with the Liverpool loanee's current mentality. He said: "He's a good player. He's got a lot of technical ability along with an eye for a goal which he's always had in his career so it's only early days. "He didn't train a great deal last week and he's got a bit of an issue with a huge blister on the bottom of his foot that had to be numbed to allow him to play so he's lacking a bit of match fitness. "But goals are the lifeblood of strikers and he's in a good place at the moment." Southampton had only picked up a single point before facing Crystal Palace which came in a 0-0 draw against Burnley on the opening day. 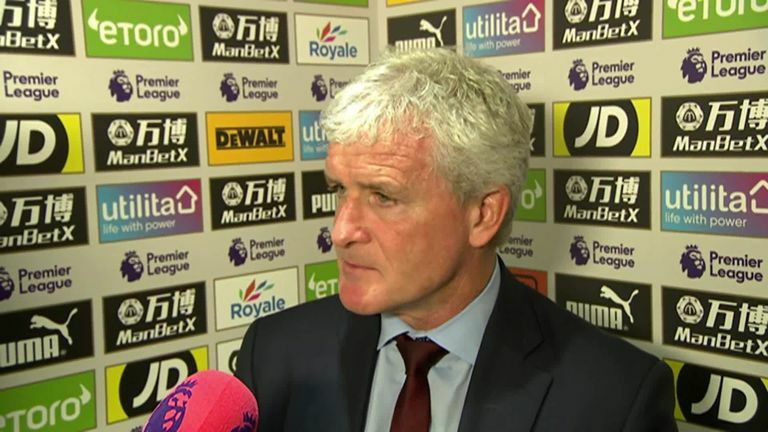 With Hughes picking up his first Premier League win as Southampton manager this season, he is glad his side have achieved it before the international break. He added: "They've got a lot of good players they can call upon but it was more about us being able to control the game for long periods. "Everybody is in a better frame of mind when you can win before an international break and we've been able to do it. That will help our confidence when everybody comes back in 10 days or so."